The all new Micromax Canvas Power A96 from Micromax Canvas series has been launched in India at 10K INR and they are expecting it to sell like hot cake as it competes with many other phones at this price very well. The main feature we liked is its massive 4000mAh battery, just quite similar like Xolo Q3000. In what is fast becoming the standard for most Indian-branded smartphones these days, the Canvas Power A96 gets a 5-inch TFT display but with a lowly 480×854 pixels of resolution. It is powered by a 1.3GHz quad-core MediaTek MT6582M processor with 512MB of RAM. Both these aspects should help in keeping power consumption to a minimum. The Canvas Power comes with dual-SIM slots and ships with Android 4.2.2 Jelly Bean OS, so that you don’t need to upgrade too soon. The device packs in 4GB of onboard storage that can be expanded further up to 32GB via microSD. Canvas Power comes with a 5-megapixel rear camera with LED flash. The official site doesn’t mention a front-facing camera, though one can be seen on the phone’s image there. The connectivity options include 3G, Wi-Fi, GPS and Bluetooth, so there’s no NFC. The Power will come preloaded with apps such as Kingsoft Office, Hike, Opera Mini and M! Live, in addition to BlackBerry Messenger. Currently available online through the Micromax store, the company promises to deliver the device in 7 to 10 business days. 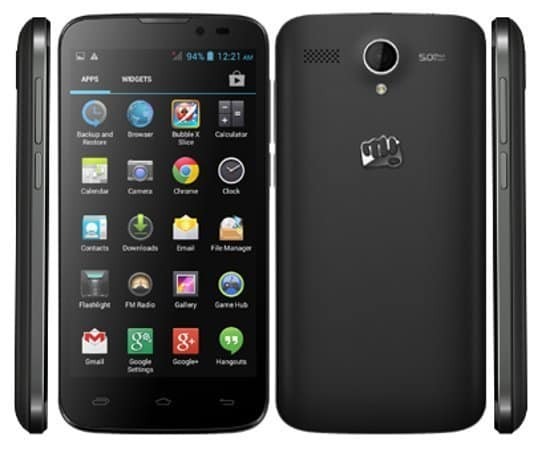 The price of this Micromax Canvas power A96 is exactly of 9,900 rs and u can order the phone directly from the main website!